C.K.&B. 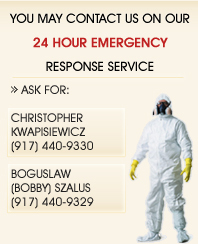 Environmental Inc. - asbestos removal, lead and mold abatement. C.K. & B. ENVIRONMENTAL INC. Copyright © 2004 by C.K.&B. Environmental Inc.